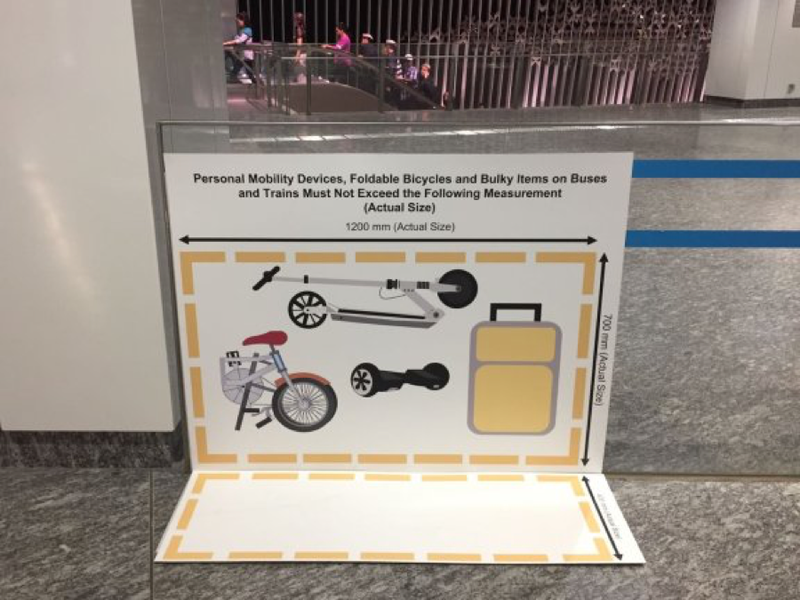 SMRT has placed templates around their stations which makes it convenient for you to determine if your scooter is suitable to be taken on board. Take note that public transport operators have the right to refuse entry or even fine you if your scooter exceeds these limits or you refuse to fold it. Refer to this educational poster for all key rules and guidelines.